If you're outgoing, fun, ambitious, creative and looking for a challenging career, then come and join the UK's leading Photo & Digital Specialist. There is a reason we've been voted the best..... it's our people. Our goal is to remain the UK's number one high street Photo & Digital retail chain and to that end, we need great people. Our franchisees only hire talented individuals who will take pride in our services and the quality of our products. Since 1983, Snappy Snaps have become a leading UK retail franchise, with over 30 years experience on the UK high street. 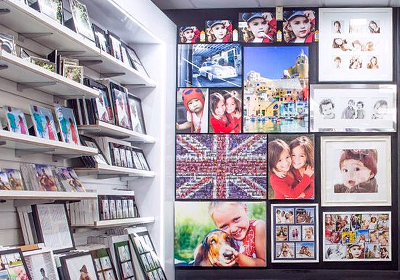 As photo & digital specialists, we are at the forefront of the photography market and have one of the UK's most successful franchise models. The concept and offering from Snappy Snaps has changed and evolved considerably since its initial launch. Although Snappy Snaps started primarily as a photographic development lab, a service we still offer to this day, the franchise has built its operation to include a host of commercial, interior and personalised printing services to cater to professional photographers, businesses and individual consumer needs. 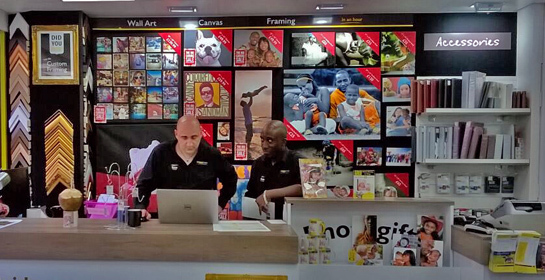 The growth of the Snappy Snaps group has provided each store with a vast product and services portfolio, which makes working with Snappy Snaps a role suitable for individuals with great customer service skills and an enthusiastic approach to daily tasks. 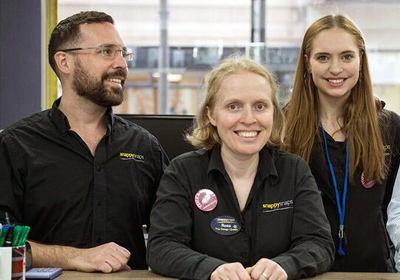 If you want to work in an environment that is genuinely non - hierarchical; in a structure where you play a role rather than stick to one job and in a team atmosphere that is truly special, then a Snappy Snaps store could be for you. If you've got the determination and drive needed for today's demanding retail environment, and the ambition and passion for customer service and photography, we'll give you some of the best sales, technical and product training in the industry. If a career with a Snappy Snaps store sounds like the job for you, apply to your chosen Snappy Snaps store by email or post. Please note: all store job applications must be made directly to your chosen Snappy Snaps store and should not be made to Snappy Snaps office in Manchester. Snappy Snaps office in Manchester do not oversee employment for the stores, it is the sole responsibility of each store to employ their own staff.